This one had me at Nutella mousse. 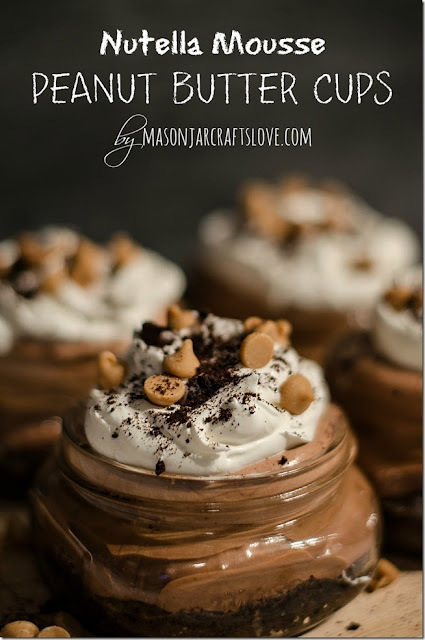 Mason Jar Crafts Love does it again with another fabulous recipe in a jar. I might just slightly be addicted to Nutella but y'all don't tell anyone. Grab the ingredients and get baking with this Nutella Mousse Peanut Butter Cups recipe...in a jar y'all! Doesn't get much better than that. Be sure to click over and visit the original source to pin this project.